Pondering "Revitalization of Rural Areas and Creation of New Values"
The Japan Foundation invited a group of young intellectuals, with an interest in social issues in contemporary Japan, from Southeast Asian countries for its program. It aims to promote and deepen exchange between specialists, as well as build and strengthen network, in order to establish joint and cooperative initiatives in Asia toward tackling these issues. In FY 2015, under the theme of "Revitalization of Rural Areas and Creation of New Values," the program seeks to provide a comprehensive introduction to the issues confronting rural society in contemporary Japan, such as depopulation, rapid decline of population, and super-aging society, as well as the actual state of the country that has emerged as a result of these issues. It also provides an opportunity for learning about the initiatives taken by the Japanese central and local governments, civil society, and individuals to resolve these issues. Tans Szue Hann and Dang Thi Viet Phuong, two of the program participants, have written their impressions on the program and how they make use of the experience they gained from it for the future. In December 2015, I had the opportunity to participate in the Japan Foundation Invitation Program for Young Intellectuals in Southeast Asia. Together with ten other representatives from Vietnam, Thailand, Philippines, Indonesia, Malaysia, and Singapore, we embarked on a 10-day journey of discovery across Tokyo, Noto, and Kanazawa. Each of these places presented a vastly different view of Japan: Tokyo with its hyper-density and relentless urban buzz, the Noto Peninsula, embraced by the Japan sea, with its rural charm and character, and Kanazawa, which fits somewhere exactly in the middle of the rural-urban spectrum, with a very personable atmosphere. My only prior visit to Japan was in 2005, when I was still a university student in architecture at the National University of Singapore. My impressions of Japan were far more focused towards its built environment: the timeless elegance of its architecture, and its embrace towards modernity and contemporariness. Participating in the Japan Foundation Invitation Program a good ten years later enabled me to see Japan in a different perspective - that of its disappearing rural cities, and thus view things through a more sociological lens. As an architect and urban planner focused on sustainability, my interests were in identifying the infrastructural issues that lead to this phenomenon, and perhaps suggest possibilities as to how good planning of villages may help to arrest this situation. In working with fellow delegates from ASEAN - experts in population and Japanese culture on my trip to Japan - these strategies thus became more focused. Particularly breathtaking was Noto Town, a humble rural town in the Noto Peninsula, but one which boasts quaint townhouses, including farm-stays, a centuries-old lacquerware manufacturing industry, some of the best seafood found in Japan, and a budding wine-making industry. In combatting the shrinking populations and disappearance of villages in Japan, we devised a strategy where rural areas can be revitalized by introducing a series of pull factors. These include the creation of niche, lifestyle-oriented industries where sustainable employment can thrive. Leveraging on the existing industries in Noto Town, the idea of sharing of resources between industries can also be introduced. Waste materials from one industry could become the raw materials for another, and an appropriate ecosystem can be set up for this sharing to materialize. In short, a sustainable material sharing ecosystem can be introduced, as a small step towards a larger vision of sustained rural economies. This was amongst four proposals for revitalizing the rural areas in Japan, with other themes such as tourism and immigration being elaborated upon by fellow Southeast Asian program participants. Indeed, the program was a perfect orientation to the many sights, sounds and savory flavors of Japan, and an ideal platform for future collaboration between Japan and the Southeast Asian nations. My very positive experience in Japan through the Japan Foundation Invitation Program has certainly spurred me on to continue establishing cooperative initiatives amongst Singapore, Southeast Asia and Japan. The social and environmental issues faced in Singapore are similar to Japan's, and to this end, I hope to participate in further discussion platforms for a better collective future. 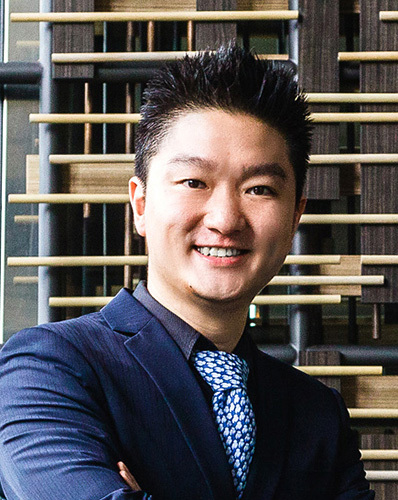 Tan Szue Hann is a registered Architect in Singapore, and currently heads the Sustainable Urban Solutions department in Surbana Jurong, Singapore. He is also the Chairman of the Institution Thrust in the Council of the Singapore Institute of Architects. His work centers on designing sustainable urban environments in Singapore and beyond, integrating architecture, engineering and urban design, while preserving cultural and economic sustainability. In September 2015, Szue Hann was awarded the BCA-SGBC Young Green Architect of the Year award. In December 2015, he was selected as one of two Singapore representatives for the Japan Foundation Invitation Program for Young Intellectuals in Southeast Asia, on a 10-day study trip to Tokyo, Noto, and Kanazawa. 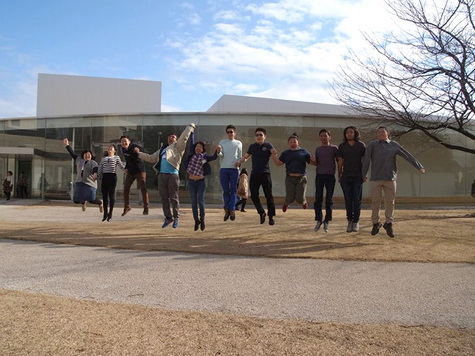 In a cold day in the second half of the last month of the year 2015, we, eleven young intellectuals from six Southeast Asian countries, gathered in Tokyo to join in a study trip of "Revitalization of Rural Areas and Creation of New Values" organized by the Japan Foundation. Being away from home in the moment when people rush to family reunions, strange people like us found it not easy even to get together at the beginning. 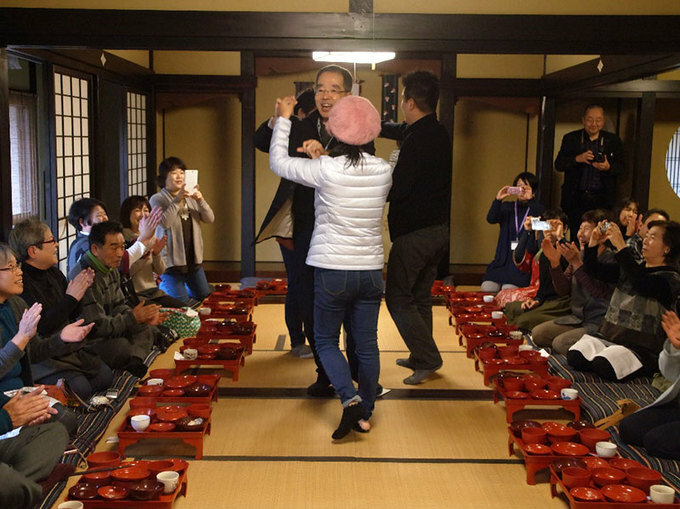 The trip to the Noto Peninsula, however, turned us upside down, just like an apple upside-down cake, in both the way we see Japanese people and the way we looked at each other. We used to be spoilt by the media to develop a stereotype of Japanese people as those who get shaped and identified by their jobs, not by their own personality. Visiting local farm Vejoule's office and Bungeikan, experiencing Shunran no Sato farmstay tourism, tasting Noto no Uchigohan (which means "Homemade Cuisine of the Noto Peninsula") and local wines made by Okuru Sky; and discussing with local people including Mr. Go Tabinuki, Mr. Masamitsu Hoshino, Ms. Kayoko Murotani, Ms. Sayaka Mori, and Mr. Kiichiro Tada; all of them made up a wonderful experience of the rurality as a way of life. The definition of happiness of a young farmer as "to be honest and try your best" speaks stronger than thousands of words on the principle of doing agriculture in Noto. The practices of Noto people in living a harmonious life by considering all human-beings are brothers inspired us to break the ice and stretched out for a dance with local people. For Southeast Asian people who live near the equator, the coldness of December in Japan was an interesting experience, but the warmth from the people there was an extraordinary one. Cultural exchange at the food event "Noto no Uchigohan"
Japan is indeed having a big problem of population decline in rural areas, and so do other Southeast Asian countries. In Vietnam, we are also facing the rural-urban flow of migration that contributes to rural depopulation. In some areas, the situation is so severe that we can depict the portrait of rural areas under the faces of the elderly and children. The study trip organized by the Japan Foundation provided me opportunities to: i) witness Japanese rural areas with quite similar problems; ii) discuss with and learn from other Southeast Asian young intellectuals on their initiatives to cope with population decline; and iii) engage in a wide range of exchanges, dialogues, and meetings, and prospect networks for the future. Above all, what sticks to my mind after all lessons learnt are drawn out is the warm-hearted rural people living in harmony with nature and with others. For me, local people themselves are the solution for not only population decline in Japan, but also in other Southeast Asian countries. All what I learnt from the trip inspire me with more initiatives and policy recommendations to contribute to the development of the new rural society in Vietnam as well as fulfil my responsibility toward the sustainable development of the broader community in Southeast Asia. Dang Thi Viet Phuong is researcher at the Institute of Sociology, Vietnam Academy of Social Sciences (VASS). She defended her doctoral dissertation in sociology in Senshu University in 2015. Her fields of interests are on development studies, including social security, civil society, and rural development. She has published single-authored and jointly-authored scientific articles and books focusing on her fields of interest. Her latest publication titled The Collective life- The Sociology of Voluntary Associations in North Vietnamese Rural Areas. She is now actively participating in the National Scientific and Technology Program for New Rural Society Development in Vietnam, where she focuses on evidence-based policy recommendations.